Success in all parts of life hinges on the ability to time block. Time blocking, which is the act of designating a portion of time on an ongoing basis to get important things done, is productivity’s greatest tool. Time blocking involves making an appointment with yourself to work on your ONE Thing; and it’s simple. We already do it in our lives, but typically not for our most important work. In today’s Family Reunion breakout session led by Jay Papasan, attendees learned that time blocking works on the premise that a calendar records appointments, but doesn’t care who those appointments are with; that’s where the date with yourself comes into play. Once you’ve spent the time you committed to focusing on your ONE Thing for the day, you can move on to the next item. Following this approach ensures you attack your day methodically. So you want to use time blocking in your life, but aren’t sure where to start? Grab your calendar and first schedule your time off. Not only do you deserve this vacation time, but rest assured, you’re going to need it when you become your most productive self. Next, block off time to focus on your ONE Thing. In our industry, dedicated lead generation time is the ONE Thing helps you build your business, so it’s paramount to schedule time for that task. Get this done early and you’ll find you have positive momentum for the rest of your day. In fact, Papasan described how studies show very successful people are at their most productive before noon, as that’s when willpower is most reliable and time is most under our control. This timing is so important that Jay has made a point of designing his own schedule around making appointments for his priorities in the morning. Once you have your time off and your ONE Thing time scheduled, it’s time to schedule your planning time; it’s about setting time to check your goals and ensure you’ve allotted time to achieve them. What are you waiting for? Start time blocking now and enjoy more success with less stress. Are Neighbors Affecting Property Value? One of the best things about a home can be living next to wonderful neighbors. 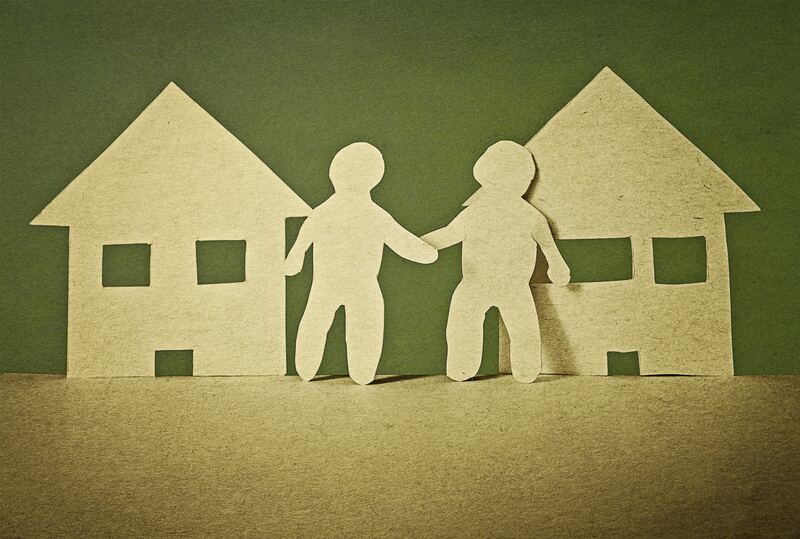 Unfortunately, neighbors can also be a source of dissatisfaction with a home or neighborhood. From loud noises to barking dogs and trash-filled yards, some neighbors can have an impact on property value and can deter potential buyers. When buyers tour homes, they are making note of more than just the house – they are assessing their potential neighbors as well. The discussion about neighbors and the community is an important conversation to have with your clients in the beginning of the relationship. Understand your clients wants and needs and help them find not only the home of their dreams, but the neighborhood of their dreams. 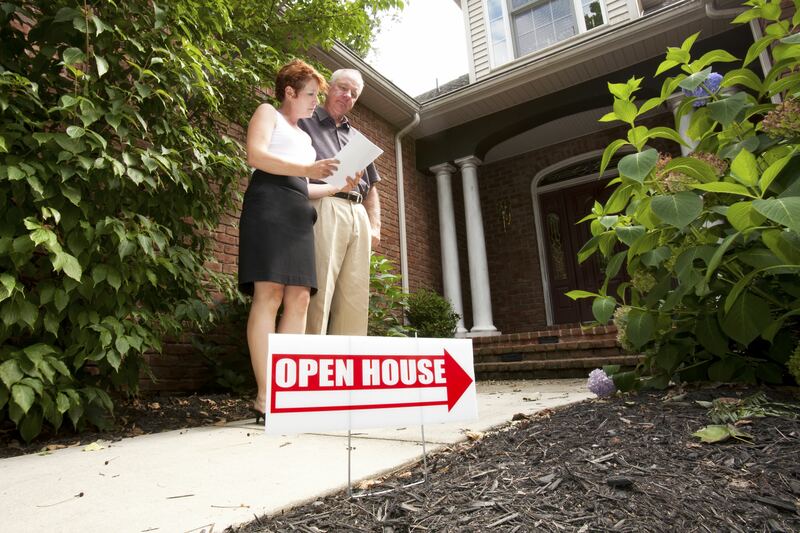 What Sellers Can DoSellers should talk with the owners of neighboring properties. Let them know they are selling the home and want to present the neighborhood in the best light possible. Make sure to let your sellers know that they should not conceal real problems or create a facade during showings. But, that doesn’t mean they can’t work with their neighbors to help get not only their home show-ready, but the neighborhood as well. Sellers are likely packing up their own belongings and trashing collected junk. 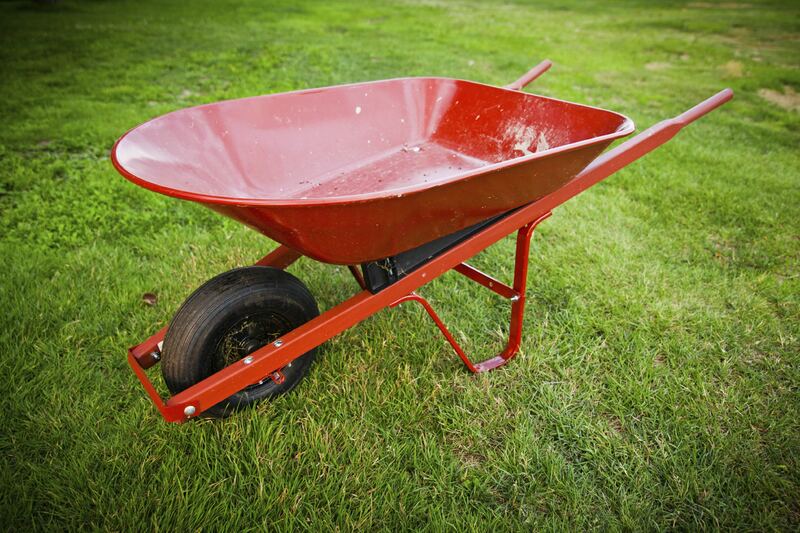 They can offer to allow the neighbors to use their collection bin for free to dispose of their unwanted items that have become an eye sore in the yard. If sellers are working on their own landscaping, they can buy a nice outdoor potted plant for the neighbors to place on their doorstep. They can also offer to help them tend their yard if interested. Help your clients do their homework on the neighborhood. Visit the neighborhood at different times of the day with them so they can see what kind of night atmosphere exists. Encourage them to take time to walk around the neighborhood.If neighbors are outside, talk to them. And agents, remember, don’t ever put your desire to sell the home before your obligation to let your client know everything you can about a neighborhood. Clients already moved in and then discover a problem? Share these tips with them. 1. Let the neighbors know about the situation and how it is causing a disturbance. It could very well be that your neighbors don’t realize the issue. By giving them the benefit of the doubt, you will be kinder in your approach, as well as received on a good note. 2. If your neighbors are hard to contact by phone or won’t answer their door, send them a short note. 3. Addressing the issue is the first step. As a priority, offer to compromise and offer solutions as well. This shows that you have thought this through and understand that to peacefully co-exist, both parties must be willing to do some work. 4. Be informed. Know the ordinances and regulations on noise, trash and curfews that govern your homeowner’s association, municipality, county and/or state. Often times, if a home is in an HOA managed community, the association can handle the issue. 5. Don’t forget the golden rule. If you want good neighbors, you should be one too. By approaching the issues with empathy and understanding, you are most likely to have a successful dialogue and solution. Every day we fire off texts, tweets, status updates and emails with ease – and often without much thought. However, effective communication is more than just exchanging information. Good communication is one of the most valuable skills for establishing and maintaining relationships. It involves both verbal and written skills. Although equally important, most often, your first communication with someone will be verbal. This could be in the form of an initial phone call, a random meeting or networking at an event. With Family Reunion just around the corner, many agents will be exercising their networking skills. Below are important points to consider as you make new connections. Verbal: When speaking to others, articulate your message in a way the listener can understand. Be mindful of your tone and word choice. Do This Now: Write out your 30-second elevator pitch about yourself and practice it before any networking event. You have 30 seconds to capture interest in you, share why someone should want to keep in touch after the event and establish some commonality that connects you to another person. Body Language: Be aware of your own body language when speaking, you’re constantly communicating even when you’re not saying a word. Hand gestures, eye contact, posture, facial expressions and other body language give clues to the speaker you may not be aware of. For example, a listener who fidgets or does not make eye contact can send the impression that they are bored or not interested. Do This Now: Look at yourself in a full-length mirror and correct your posture. Take note of what it feels like. When you are having a conversation with someone, correct your posture to feel the way it did when you looked your best in the mirror. Listening: Try not to think about what to say next while listening; instead clear your mind and focus on the message being received. Give the speaker your full attention as you expect in return. Do This Now: Have conversations daily with other people. Practice your scripts and 30-second pitch with people in the office. Ask them to practice theirs and take time to really listen. This activity makes you more comfortable and on your way to becoming a networking pro. In summary, if you can articulate your message, present active listening body language and be present with others when they are talking, you will have more engaging and memorable conversations. For many Keller Williams associates, the planning and preparation for the first quarter of 2016 is complete and outlined in writing. But, have you set your big goals and crafted a plan for the New Year aimed at increasing your personal wellness too? If you haven’t, it’s not too late. Start today and be proactive on your path to being in good shape, physically and mentally. It’s so important because if we don’t give the proper attention to wellness in our lives, we deprive ourselves of our full potential and, as a result, our bodies and businesses suffer. 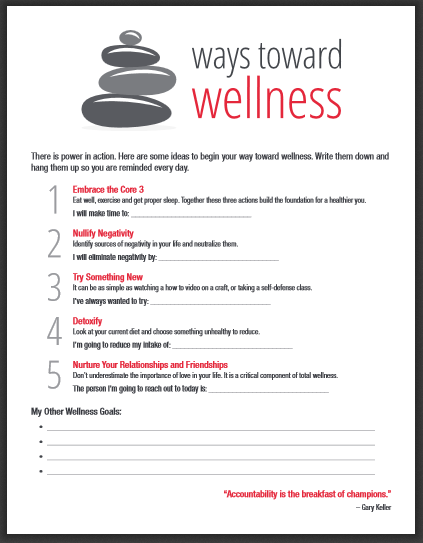 Because thinking clearly and increasing productivity are important to a business, Keller Williams takes wellness seriously. And. that is why there are Wellness Ambassadors in market centers all across the U.S. helping associates achieve their wellness goals. These individuals are passionate about fostering healthier lifestyles. They coordinate local events, like Wellness Day, and bring practical, educational resources and opportunities to their market center. By writing down your wellness goals and hanging them up where you can see them every day, you make wellness part of your daily activities. The big three components of wellness are eating right, regular exercise and sleeping properly. Eating Well: Most of us exchange convenience for health. Thankfully, it is becoming easier and more convenient to eat healthier. Take control of your meals. Make a concerted effort to reach for something your body needs, instead of something your taste buds desire. You will begin to feel better and your body will show it. KW Wellness Ambassador Idea: Implement a Farm to Office delivery in your market center. Exercise: We all know we need to exercise, but often blame our hectic schedules for making it hard to find the time to exercise. By walking 10,000 steps each day, you will experience a noticeable increase in your wellness. KW Wellness Ambassador Idea: Make walking a habit by organizing a 66-Day Step Challenge for your market center. Sleeping Properly: Everyone’s individual sleep needs vary, but the general rule is seven to eight hours of sleep each night. KW Wellness Ambassador Idea: Carve out a wellness section in your market center newsletter and write out a few tips for a better night’s sleep. In addition to the core three components, wellness has many other dimensions to it. Unique to each individual, mental health, spiritual health and emotional health are all important components of total wellness. Make 2016 your best year yet by making an investment in yourself. Start by downloading the free My Way Toward Wellness, connecting with the Wellness Ambassador in your market center to get involved and signing up for KW MAPS Group Coaching course The Energy Advantage. We want to hear from you. Share your wellness goals in the comments. Heller, who has a strong background in building real estate sales teams (including his own nationally ranked team), thinks that 2016 will be a good, not great, sales year. “We think sales units and prices will still be up, just not as strong as 2015 versus 2014. It is an election year, and you typically don’t see a great deal of shifting going on in the market,” he added. He does see a proliferation of new business models appearing throughout the industry and while he doesn’t see anything that worries him, he pays attention to what they are doing. “It doesn’t pay to ignore new models and new ways of doing business. At the least, we can learn something from them and become aware of serious new threats well ahead of when they may begin to affect our business. I know some of them are fads, but some of them have some real substance to them,” Heller commented. This article originally appeared in the December 2015 issue of the REAL Trends newsletter and is reprinted with permission of REAL Trends Inc. Copyrighted 2015.